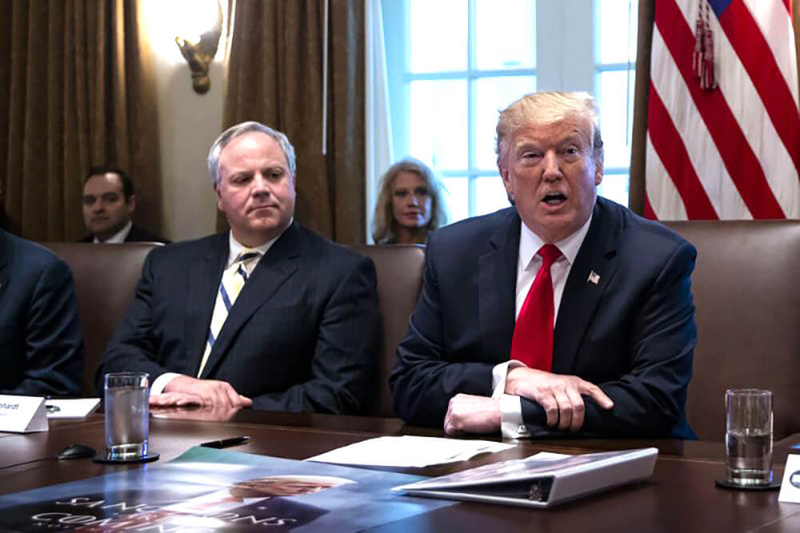 President Donald Trump announced on Monday that he has picked former energy lobbyist David Bernhardt to be the Interior Department’s next secretary. “I am pleased to announce that David Bernhardt, Acting Secretary of the Interior, will be nominated as Secretary of the Interior,” Trump tweeted. “David has done a fantastic job from the day he arrived, and we look forward to having his nomination officially confirmed!” he added. Bernhardt, whose past clients include oil companies and others with business before the Interior Department, will lead an agency that oversees about 500 million acres as well as the energy production on that land, according to The Hill. Trump will have to send Bernhardt’s nomination to the Senate, where a majority of senators will be needed to approve him. As deputy secretary, Bernhardt, a Colorado native, worked hand in hand with Zinke on his oil and gas leasing agenda and took the lead on many others, including the administration’s push to drill in Alaska’s Arctic National Wildlife Refuge and the rollback of a number of Endangered Species Act regulations. Bernhardt has worked at Interior in various capacities, including solicitor during the George W. Bush administration. He has also had multiple stints at the lobbying firm Brownstein Hyatt Farber Schreck LLP, representing clients including Eni Petroleum, Sempra Energy, Halliburton Energy Services, Targa Energy, Noble Energy and the Westlands Water District.